Recently, many parents who send their children to Montessori school loved our product to do it at home. So we prepared TWO series of articles for those who want to do Montessori approach of teaching at home. It is lengthy one so we split into two parts. This is the first part. if we provide children with materials that are both interesting and developmentally appropriate, they will choose to interact with them, creating their own learning from them. 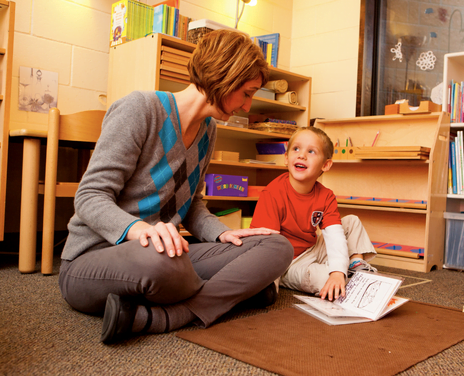 While many parents opt to send their child to a traditional preschool program, or to a Montessori preschool, others prefer to keep their children at home with them during these formative years. By following these guiding philosophies, you can use the Montessori approach in your own home. Montessori devoted a great deal of time watching children play. She quickly grew to realize that for children, their play is purposeful, and she developed the concept of play as work. She realized that for the most part, children’s play is not random, but purposeful and that it usually involves an objective. For a young child, play is learning. The importance of play in early childhood is widely recognized and it is even considered to be a right of every child by the United Nations High Commission for human rights. When allowed time for self-directed free play, children reap invaluable benefits. Cognitively, there are massive benefits to play. While engaging in play, children use their imaginations, and think creatively. They problem solve, and engage in abstract reasoning. The social development of children depends largely on play. While engaged in play with others, children learn to share, cooperate with others, and take turns. They learn a sense of fair play and develop conflict-resolution skills. These are important skills that they will need throughout their lives. Benefits of play continue and extend to a child’s physical development, as they develop both gross and fine motor skills, depending upon the activity. Play also teaches children the gift of patience, stamina, and concentration. One of the very most important benefits of play involves language development. While children are engaged in play, they are also working on building their communication skills. There is a great deal of research to prove that a child’s oral language development is a strong indicator of their reading and writing development as they progress through school. When parents engage in play with their children, they are modeling language structures, building vocabulary, and teaching discourse. The stronger a child’s oral language, the easier it will be for them to acquire literacy. A great deal of oral language research focuses on the quality of parental utterances. Children who are spoken to, as opposed to spoken with, have a much more shallow vocabulary, and much less schema for concepts. Children who parents and grandparents engage them in real conversation have a much larger vocabulary, develop better sentence structure, and have deeper schema on a variety of topics. There is a real connection between a parent’s engagement with their child, their oral language development, and their later reading and writing success. Playing with your child is a fun and easy way to build these connections.